What Are the Street Legal Golf Cart Requirements? It's simple: Most of our customers love to use their golf carts for MUCH more than just their morning or afternoon round of 18 holes! The problem is, they are not confident that they won't be pulled over for driving their cart around on the street (resulting in a silly ticket). Have no fear, we've got the info (and items) you need to get your cart running legally on your neighborhood streets! If your car didn't have headlights, driving in the evening would be a nightmare! It's no different for your golf cart. Luckily, no matter what year, make or model your golf cart is: there is likely a light kit out there that is made for your particular cart. 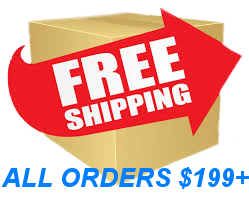 These kits will hook up easily on your cart and will look like they came from the factory! 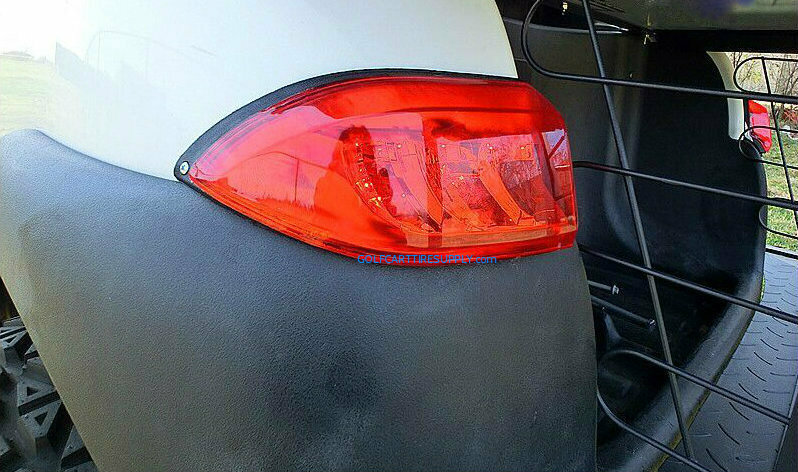 While there are Basic light kits for sale (generally, just front headlights and rear tail/brake lights), and there are oversized extra-bright "LED Light Bars" for sale (like you see on big lifted jeeps/trucks)... a bit more than just bright front facing lights and rear brake lights are needed to make your cart street legal. 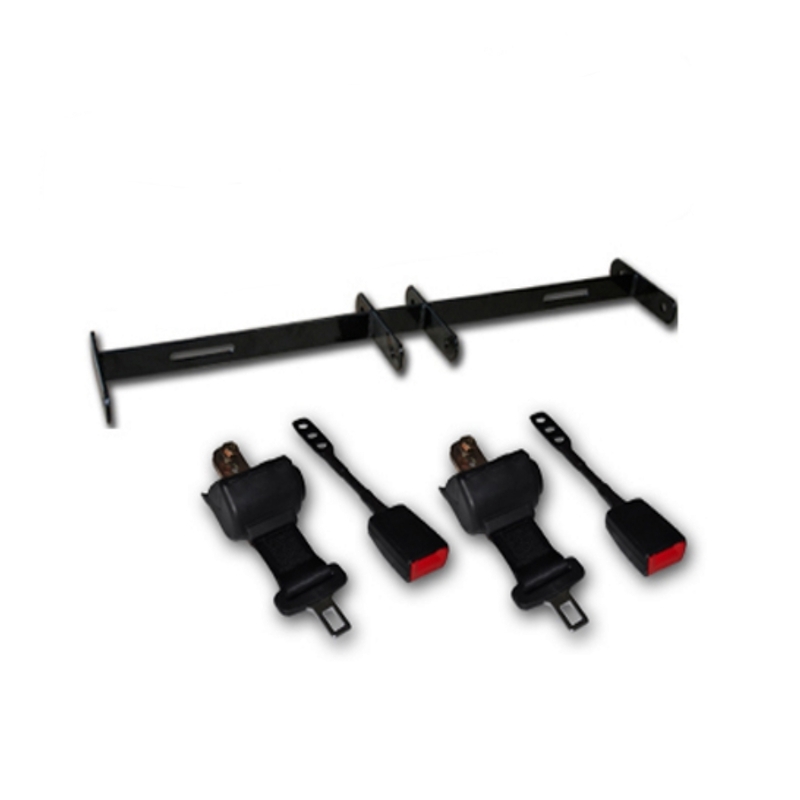 We carry Street Legal light kits, for all Club Car, EZ-GO & Yamaha golf carts! 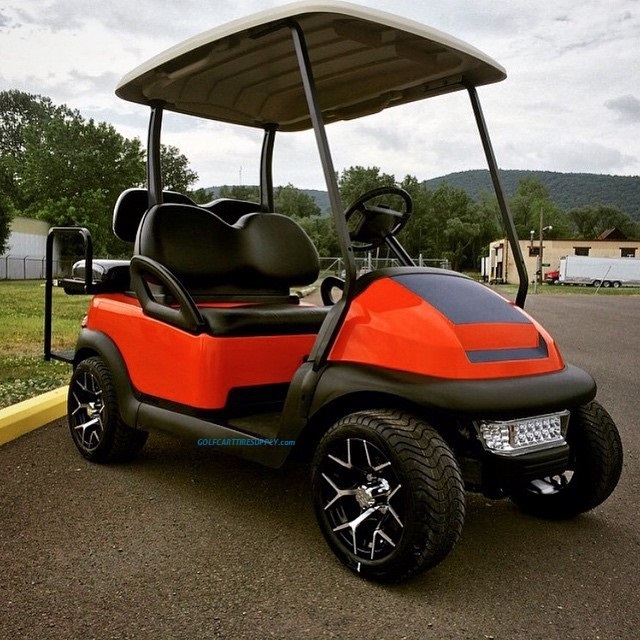 See our selection of Street Legal Golf Cart Light Kits here. 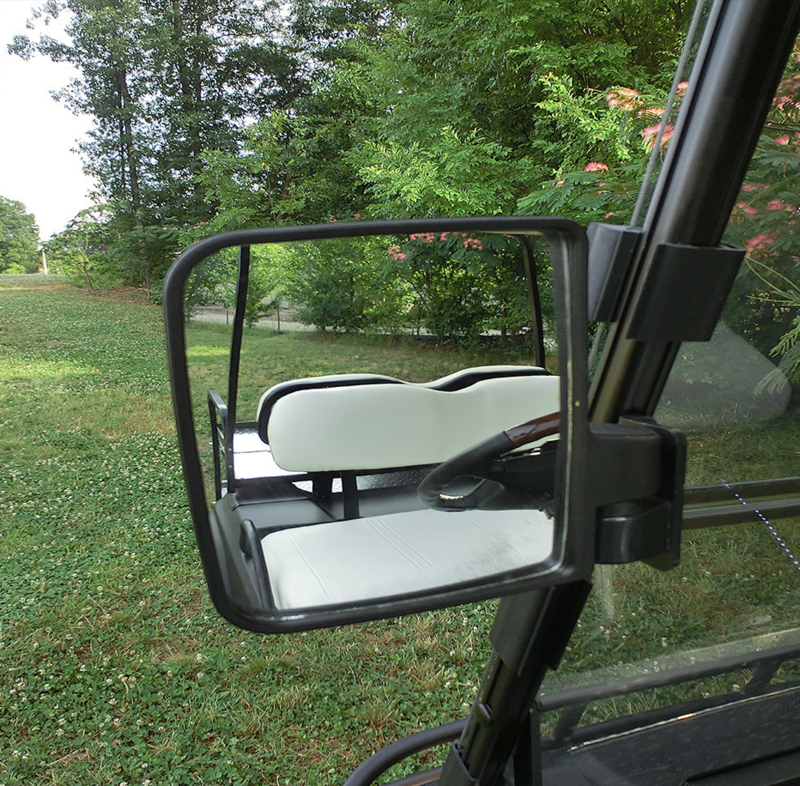 Mirrors are essential when driving on the road or through your neighborhood, and are a key piece to making your golf cart street legal. They give you increased safety and command while you're riding (and you can be sure you'll never miss the drink-cart lady as she drives past again)! But in all serious, it is incredibly important to know what's behind you while you're on the road. 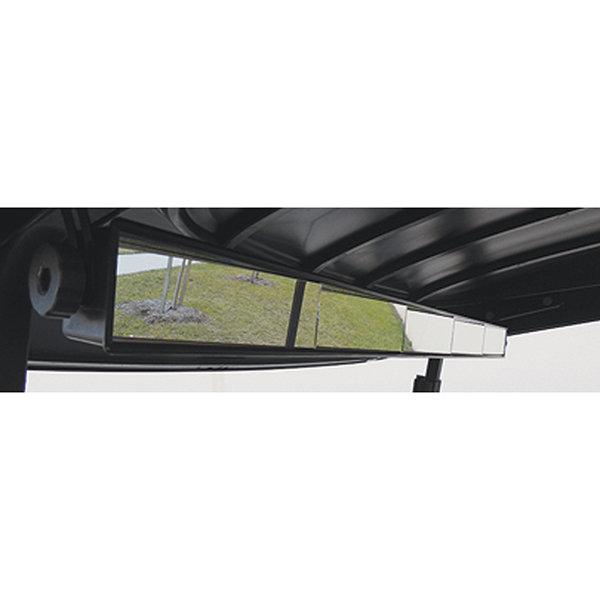 Golf Cart side-view and rear-view mirrors make driving your golf cart feel as safe as driving your car (and also makes everyday backing-up a painless procedure). 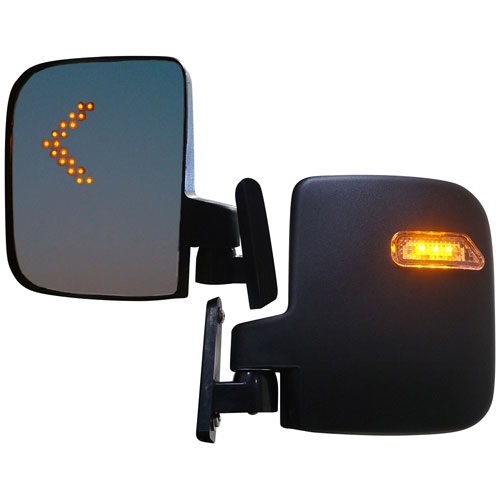 Some cities/municipalities require only one or the other mirror types to be installed on your golf cart for street legality... while other cities will require both side-view and rear-view mirrors. Check your local laws, or order both if you are unsure! We carry only the best golf cart mirrors online. Windshields are necessary when making your golf cart street legal. They add functionality to your golf cart and while keeping the bugs off your face and the wind (or rain) out of your eyes! 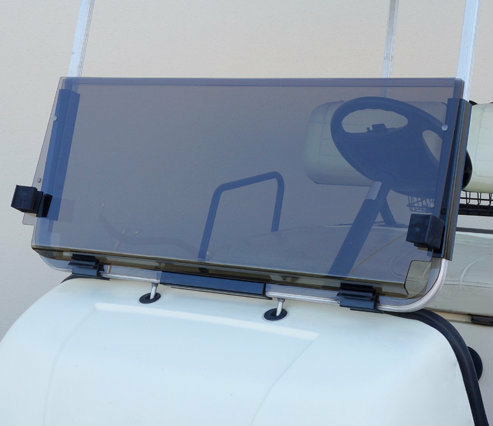 We offer basic tinted or clear acrylic foldable/folding windshields that will get the job done in most municipalities when making your golf cart street legal. Still, some cities/municipalities will require more meaning you may have to use a more expensive "DOT approved" AS5 golf cart windshield. Luckily, we offer all windshield types on the market, including regular shatter-resistant windshields as well as DOT approved AS5 options. 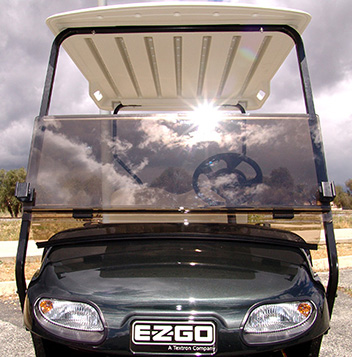 Browse our: golf cart windshields. The best part about golf cart windshields is that most require no drilling or modification to install! Again, just like in cars... seat belts are needed in your golf cart to operate legally on the road as well. Don't want your passengers falling out on a busy road! This rule applies to all seats on your cart (including any rear seat kits). Check out our Golf Cart Seat Belts for sale here. 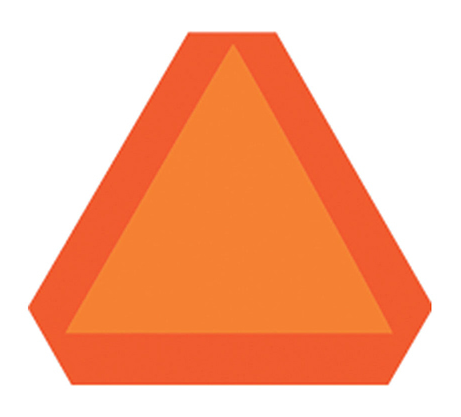 Your municipality (especially in more rural areas) may also require you to have a “Slow Moving Vehicle” sign while operating your golf cart on roadways. If you can't find the rules in your village/city's online webpage - order one. They are cheap and it's better to be safe than sorry! With these 5 items installed, you should be all set! As mentioned throughout the article: it is still highly recommended that you check your local laws. Each state, city, village and town has their own rules on operating golf carts/ NEVs on the road. Place a call to your local village office and check to make sure that driving your golf cart on the street complies with local and state laws. Be safe out there, and remember to always respect the rules of the road!